Surgery, dentistry and traumatology often have to cope with extensive capillary bleeding such as during spleen or liver injuries; following tooth extraction; or with extensive skin erosions or bleeding from surfaces which are appreciably supplied with blood, such as from the nose or from superficially injured eyelids, etc. 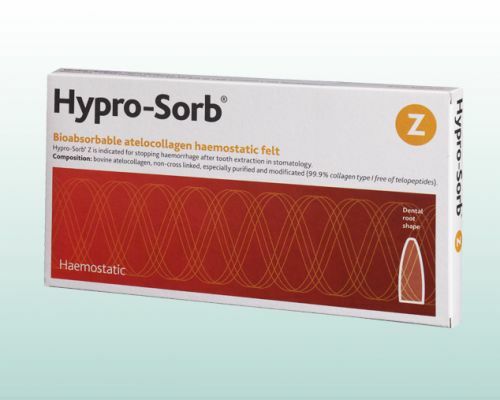 In such cases, the availability of suitable haemostatic devices are vital. 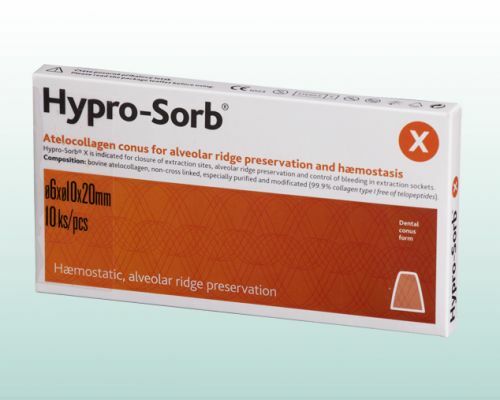 Haemostatics made of atelocollagen are the most efficient known devices used to stop capillary bleeding. 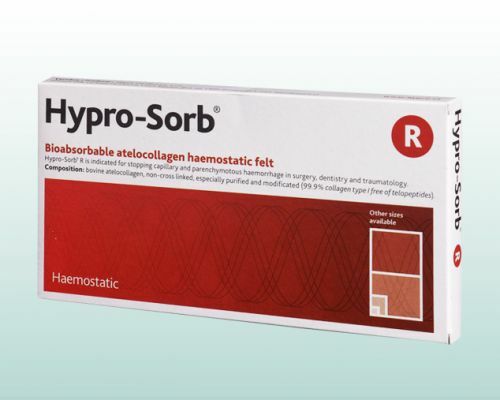 Handling instructions: Hypro-Sorb® R is applied usually with its smooth side onto the wound surface, softly pressed down and left on the wound until the fibrin adhesion develops. Bleeding usually stops in two to five minutes; it lasts longer in hemophiliacs. Usually it is used in dry state but it may also be moistened with sterile saline.